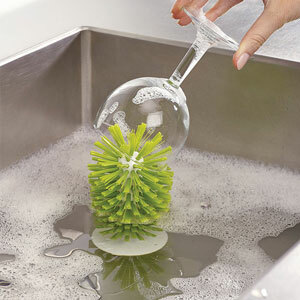 Finding it a struggle to make a spare spot on your draining board for the washing-up? 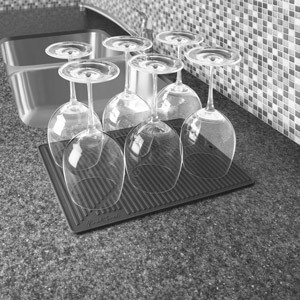 Pop this square mat in your sink and transform it into extra space to air-dry your plates, glasses and mugs in an instant! 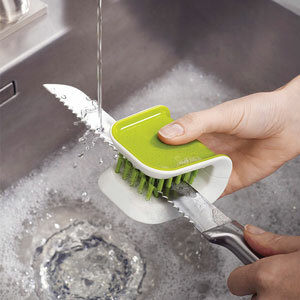 It can be used in any square sink - stainless steel, traditional ceramic or tough plastic. 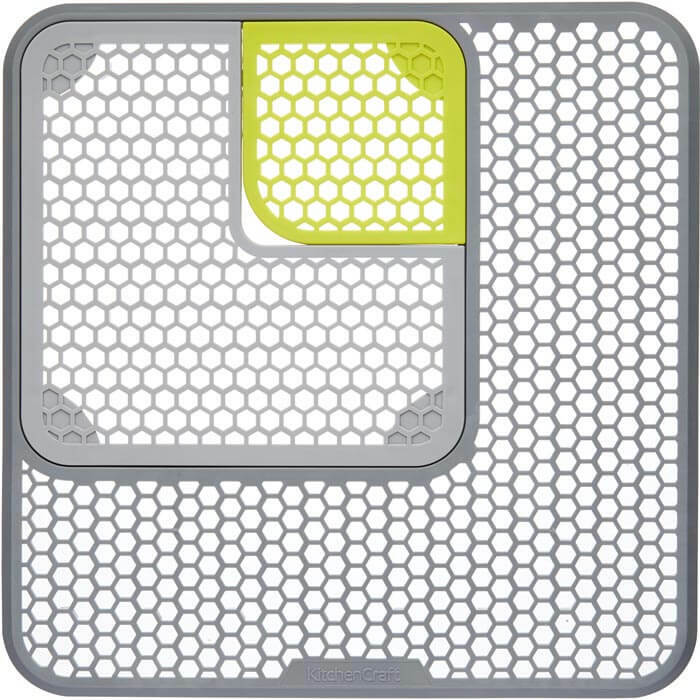 The innovative, adjustable design allows it to accommodate any plughole position. 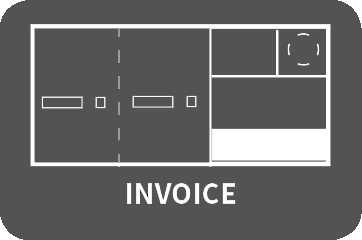 Simply rotate the pieces and slot them into place. There's no need to worry about taking it out when you've finished. 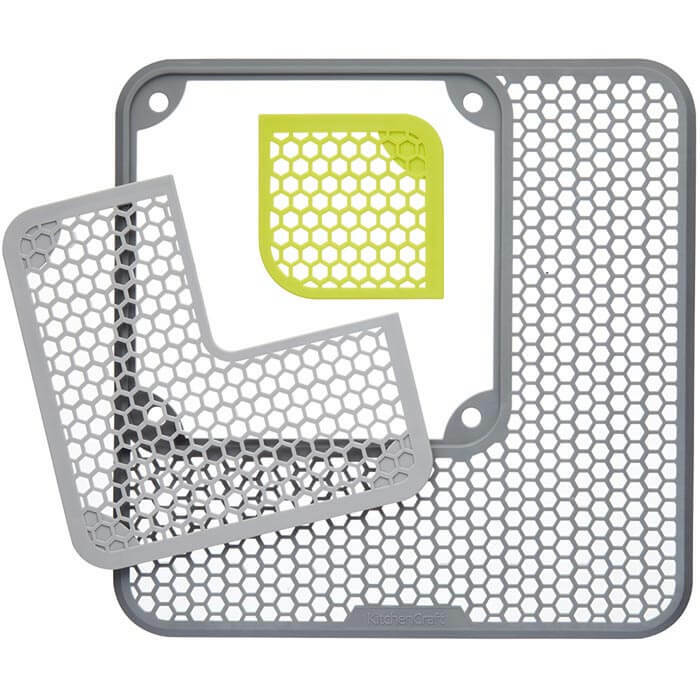 The honeycomb-like perforations allow water to drain freely at all times. 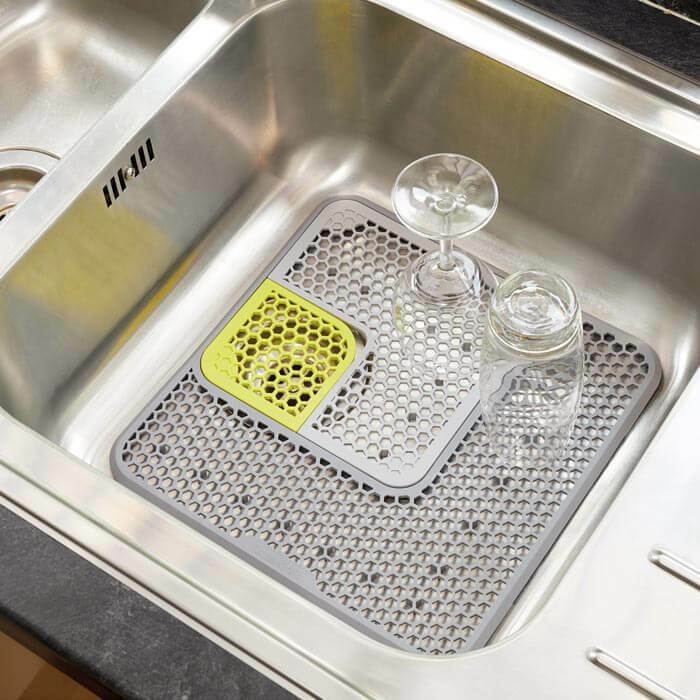 With its flat and even surface, it provides the perfect platform for drying delicate stemware, glasses and crockery. 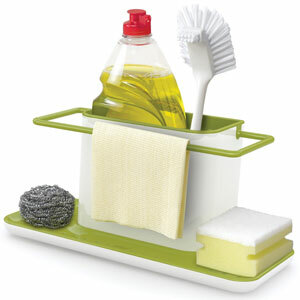 This makes it a very smart solution for people with cramped kitchens and limited draining board space. It also protects sinks from scratches.